WIN a $500 Williams Sonoma Gift Card With Marley Spoon! Cook Up Our Autumn Roast and Win With Williams Sonoma! 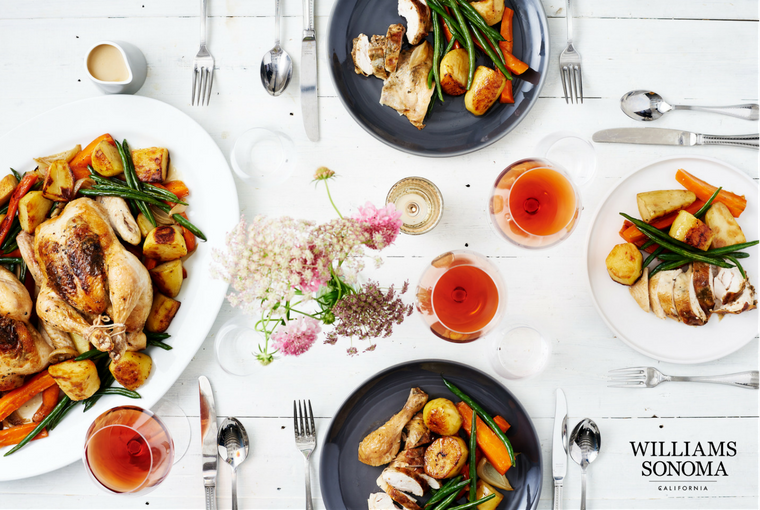 Enter the draw to win a $500 Williams Sonoma gift card when you cook up our delicious Roast Chicken dinner and Apple Crumble dessert in this Autumn inspired two-course feast for four to six people. Want to enjoy quality time with family and friends this weekend? To make cooking up a feast an absolute breeze our team of chefs have created a delicious Autumn roast that is perfect for sharing. We’ll send you market-fresh ingredients and easy-to-follow recipe cards so you can spend less time in the kitchen, and more with the ones you love most. For the main, you’ll enjoy two free-range chickens, cooked until rich and tender with porcini and sage butter. Served with golden Autumn vegetables and a homemade gravy it’s a sure-fire crowd-pleaser, whether you're catching up with friends, spending quality time with the kids or just showing your housemates some love. 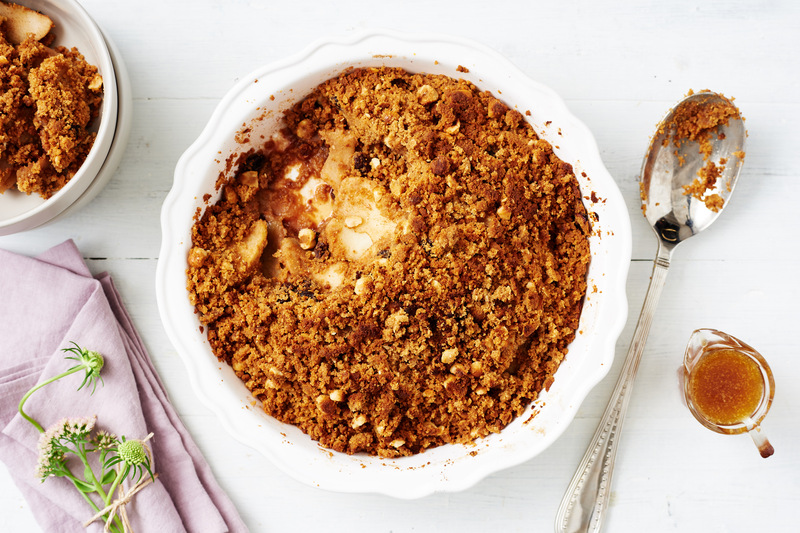 For dessert, cosy up with a warm, comforting Hazelnut Apple Crumble, topped with hazelnut crumbs and an irresistible burnt butter maple sauce. Deliciously inviting, you can’t go wrong with these seasonal family favourites, made easy in signature Marley Spoon style. Here at Marley Spoon we have a passion for cooking, so we understand the importance of quality products that will give you years of enjoying delicious meals with your nearest and dearest. That's why we have teamed up with Californian Cookware company, Williams Sonoma to give you the chance to win a $500 Gift Card. Inspiring cooks everywhere, Williams Sonoma has been a leader in high-quality cookware, cooks’ tools, small appliances, dinnerware, food and entertaining essentials for more than 60 years. At the heart of the brand is the belief that gathering around the table for a shared meal is one of life's greatest pleasures. Simply cook up the best produce of the season with our Autumn Roast, and you will automatically be entered into the draw to win a $500 Williams Sonoma Gift Card. All you need to do is head to your account and order before May 5th 2018 and you stand a chance to win all the roasting essentials you have ever wanted! The winner will be announced on May 7th, just in time to be the perfect Mother's Day treat. So what are you waiting for? 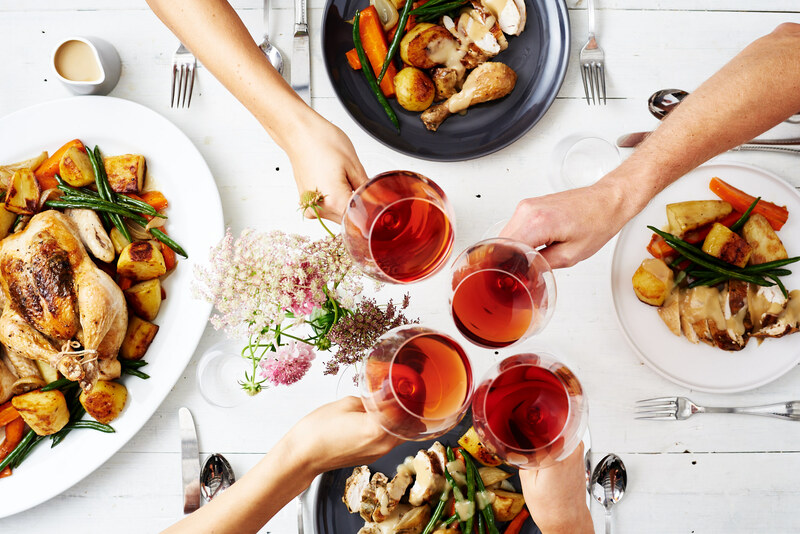 Head to your account and order our household favourite Autumn Roast for only $89.95, including delivery, and spend your weekend the way you really want to - enjoying a delicious meal surrounded by the people most important in your life. Want to see more of Williams Sonoma? Shop in stores across three retail locations: Bondi Junction, Chatswood Chase, Chadstone Shopping Centre; and online via williams-sonoma.com.au. We believe cooking should be a pleasure, and we know that with full lives and busy schedules, it can be a challenge. That’s where we come in. To help make weeknights easier and dinners more delicious, we’re taking the thousands of dishes we’ve created and delivering them right to your door. Every recipe we share reflects our love for seasonal ingredients and delicious flavors. © 2019 MarleySpoon Ltd. All rights reserved.